There seems to be some discussion how many degrees ATDC the #1 inlet pushrod should reach full lift. Some say 110° and some 106° . As 4° is a fair difference, does anyone have a definitive knowledge of this setting for the Spi standard cam which Moke Spider has said is the same cam as the late 1275 carb version. I intend to advance it 1-2° to account for initial chain wear although not convinced this happens much with a duplex. I have spend some time looking for this info on the net, but it's conflicting and I've got a headache! I know this may sound like 'some work' but really, it's none too difficult. 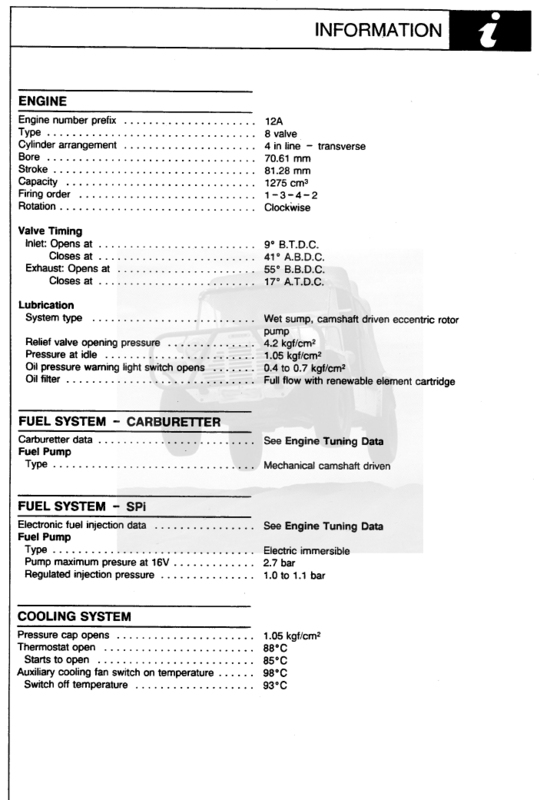 Why not set the engine up to a known measured setting (say the figures here ^ ) try that, then pull the radiator and advance the Cam Timing by 4 - 6 degrees and try that. Rather than working strictly from numbers and what others (including me) are suggesting, this is a real world means of seeing how you want the engine to behave.